Department of Homeland Security Secretary Kirstjen Nielsen described Tuesday how human smugglers are operating “child recycling rings” to thwart U.S. Customs and Border Protection, as The Daily Caller reported in March. 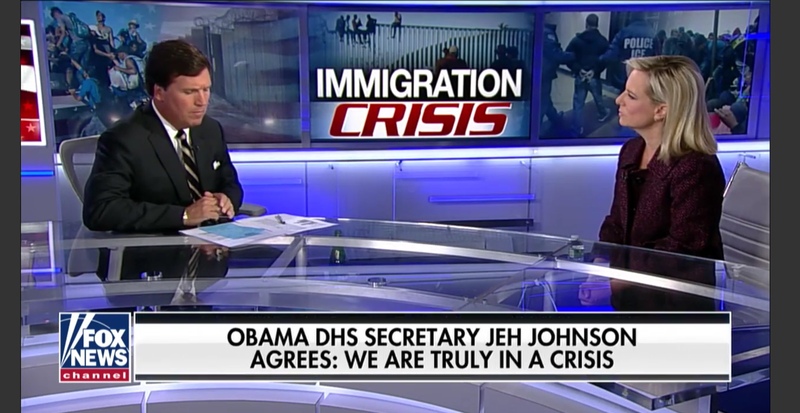 Department of Homeland Security Secretary Kirstjen Nielsen discusses the border crisis on Fox News’ “Tucker Carlson Tonight,” Apr. 2, 2019. Fox News screenshot. She said the Trump administration is considering remedies like closing the border with Mexico and revoking birthright citizenship: “All of this is on the table,” she told Fox.